The program began with Consul General Henry S. Bensurto, Jr. presenting the Consulate staff to the Filipino-American Community who attended the event, followed by the presentation of the new officers of the Consulate, namely, Deputy Consul General Raquel R. Solano; Trade Commissioner Celynne Layug, Police Attache Eric Noble, and Vice Consul Andre Estanislao. 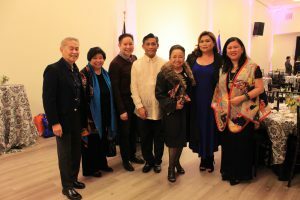 As in the previous year, the Consul General stressed the importance that the Filipino diaspora plays in preserving and promoting Filipino heritage and culture in the Bay Area and beyond. 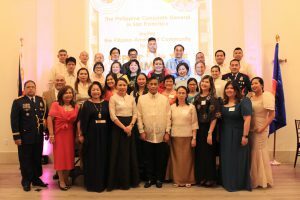 He encouraged those in attendance to join in the movement to Spark*Connect*Empower* the Filipino-American Community, in recognition of the steadily growing number of millennials and Generation Z Americans of Filipino descent whose connections with the Philippines grow tenuous as the years go by. A video presentation of the Consulate’s and Community’s achievements in 2017 was shown to the guests, composed of elected and appointed leaders, Community leaders, members of the media, and the Filipino-American Community. 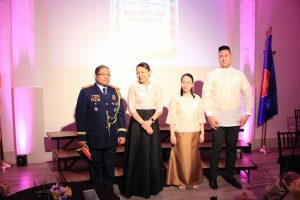 The Consulate took the opportunity to promote the Bring Home a Friend program at the event, with Consul General Bensurto and Tourism Attache Pura Suanding-Molintas asking trivia questions about tourism sights in the Philippines. 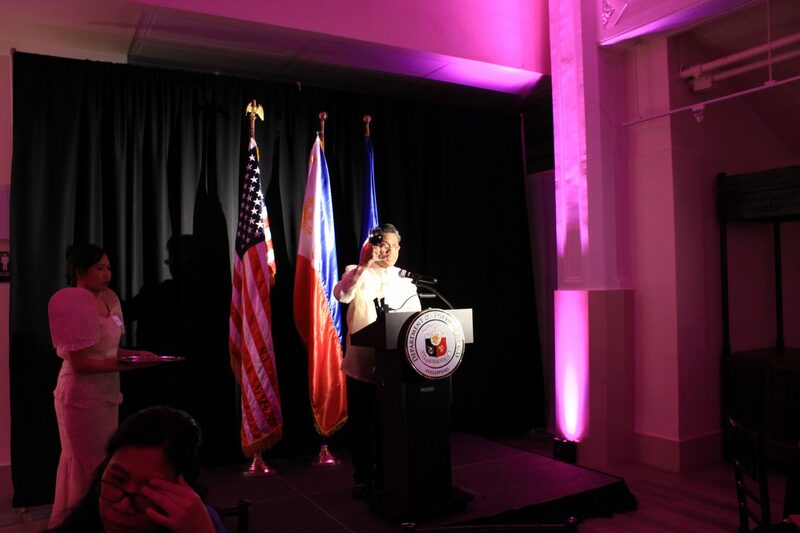 To close the program, Ms. Zeyonce Brown, a talented singer from Milpitas, brought everyone to their feet with her rousing rendition of Filipino and American pop songs. The Philippine Consulate General in San Francisco. The new officers of the Consulate were presented at the Report to the Community. Consul General Bensurto toasts to the Community. The Consul General and Mrs. Bensurto with members of the Community.